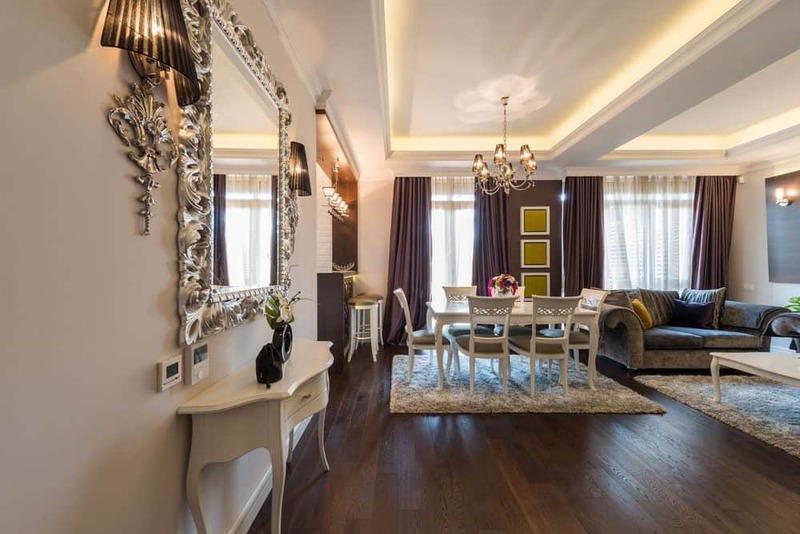 Vintage home redecorating is now a real trend, not simply a necessity from being unable to afford a new home. And don’t we vintage fiends love that. Buying an older house may be the ideal investment for your property portfolio. Or it could be the type of house you want to make your home. If you have time, energy and some DIY skills then vintage home redecorating may become your new obsession. With 17 modern ideas, create your unique stamp on a home that you’ll love for years to come. Vintage Home Redecorating. Love It! Many vintage homes are weatherboard so stripping and repainting is a big job. However, for a truly original finish, it’s worth the investment. Paint brands nowadays have solutions with a 15-year life, too, so you won’t be painting every two years. Taubmans have all-weather paints for wood, galvanised iron, cement, and steel with a 15-year guarantee not peel, crack or flake. If you want a more modern look for your vintage home redecorating then consider a composite or PVC alternative to paint. 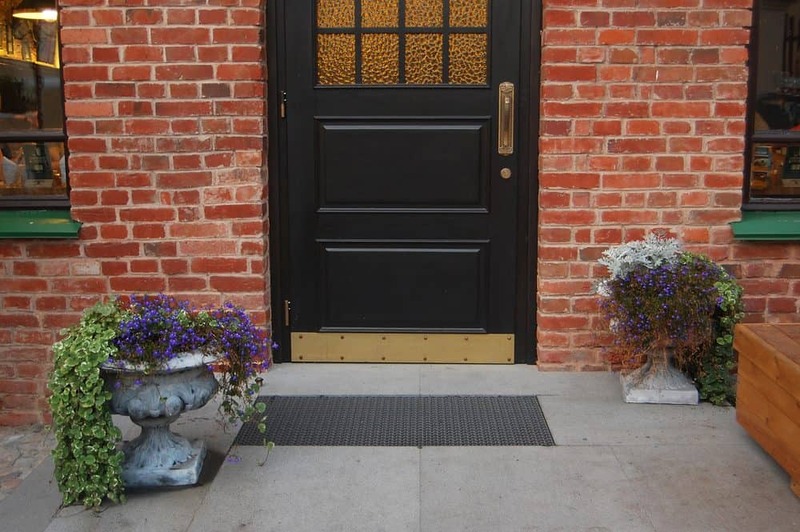 Often vintage homes have a front door that’s a specific style and hard to replace. Wooden doors should be taken down, sanded back, painted, and put back in place. You may want to upgrade the door hardware, security, and add a lockable fly screen. If you can’t refresh your front door then either scour the salvage yards or find a suitable new ‘vintage’ replacement. Paths and porches are open to the elements, so those at your vintage home may have suffered years of weathering. When undertaking any vintage home redecorating invest in a power washer like Karcher. Blast paths, brickwork, roof tiles, terracotta, and even woodwork to lift off dirt and mold. Once you’ve stripped, sanded, painted, and blasted the exterior you’ll want to illuminate your hard work. Now is the time to install some solar-powered lights to Illuminate the driveway, paths, porch, front door, and even the trees. The warmth of having lights to welcome guests to your home will set the scene for the beauty of your vintage home redecorating once they cross the threshold. When thinking about starting on the interior of your vintage home redecorating, consider the air flow into your home. You’ll always want fresh air so decide which windows you will replace. 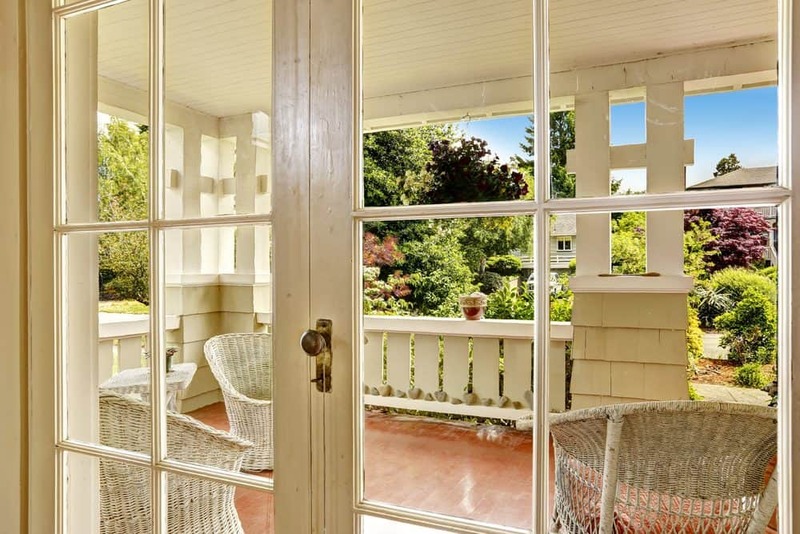 Many windows in a vintage home will have wooden frames and they may be draughty. Consider if you want to fix up and paint wooden frames or replace them with modern materials, and perhaps even double glazing for added insulation. There are beautiful new wooden frames available from suppliers such as Stegbar who have a range of very high-quality frames that require minimal maintenance. You may also wish to think about taking out a window and replacing it with bi-fold cafe or French doors and opening up the room to the garden. Older properties tend not to have effective air conditioning systems and most have never had anything installed. Ask the experts about systems suitable for your budget and lifestyle as there are modern options besides ducted reverse cycle. And modern systems have high energy ratings so will save you money on your energy bills. Book your preferred team to install air conditioning before you start to redecorate. Hardwood floors are often found under the carpets of vintage homes. These can be sanded back and stained to look as beautiful as they day they were originally installed. Now being installed in modern homes too, hardwood floors are easy to keep clean and look spectacular with rugs and hall runners. They continue to be very popular. However, if hardwood floors aren’t for you then look at the beautiful selection of vintage tiles available or install carpeting. However, if hardwood floors aren’t for you then look at the beautiful sections of vintage tiles available or install carpeting. One of the most hardwearing and beautiful new carpets is Solution Dyed Nylon. I always swore I’d never have nylon carpets but this very modern development looks beautiful, doesn’t ‘pill’, is easy to clean, and it’s very hardwearing for high traffic areas. The walls in older homes will likely have holes and groves. It’s easy to re-fill small holes in plaster board so see our video for a simple DIY solution from Gyprock. However, for more difficult walls you may have to reline with drywall so consult a builder for expert information. Have your electrical system checked by a registered electrician as any vintage home redecorating will likely include additional and upgraded lighting solutions. Indoor and outdoor lighting will greatly enhance your lifestyle so think about paths, entranceways, outdoor entertaining areas, uplighting trees, in-deck lighting, and work areas. Consider engaging an expert and have a lighting plan created prior to any upgrades. Oh, the glorious things you can do with paint, including stenciling, wallpaper looks, and creating graphic walls. Consult a colour wheel, tap into your true style sense and decide if you want calming neutrals or vibrant colour. Now, neutrals are not simply whites and beiges. 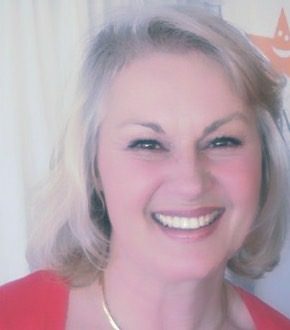 Neutrals also include many other colours including blues, greens, pinks, yellows, and greys – and they can look SPECTACULAR. Think Hamptons with blue, white and beige. Or French Provincial with pale tones of green and pink with gold. Even industrial with black, grey, white and raw timber. When painting, start at the top and work your way down. Ceilings first, then walls and wood. 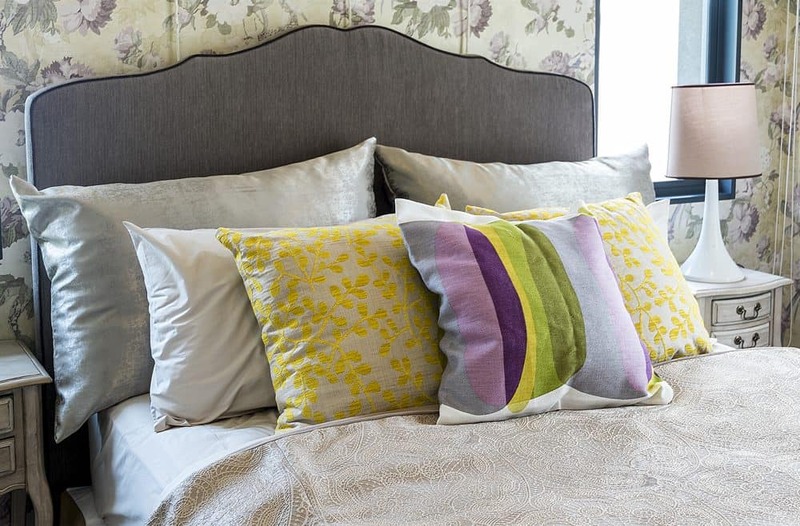 Picking the best colours for your home is deceptively easy. Again, consult a colour wheel and choose three to five colours that you love. Use the 60/30/10 rule of 60% primary, 30% secondary, and 10% tertiary. For example, if your primary colour is pink, use it in 60% of the room – paint and textiles – but know you can vary the intensity of your pinks for different purposes. You don’t have to have 60% of the exact same shade of pink. Work with different shades and tones within that palette. Consider the fabrics and accent items, such as lamps, cushion trims, throws, etc. Textiles will convey different feelings so for warmth add textures such as brocade, velvet, leather, sheepskin, hide, faux fur, knotted wool, mohair, and knits. 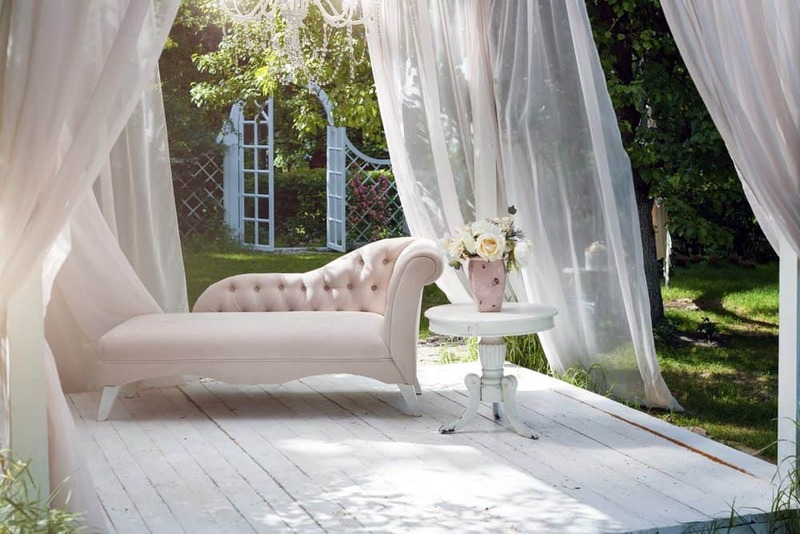 To create coolness use linen, cotton, silk, muslin, blonde wood, wicker, and lace. Old houses tend not to have fitted kitchens with modern appliances and dream bathrooms with underfloor heating and divine tiling. So your vintage home redecorating is the perfect opportunity to create exactly what you want AND add great value to your home. Create mood boards with Pinterest and Instagram as well as clipping ideas from magazines. Talk to an interior decorator to consolidate your ideas, and perhaps receive discounts from their suppliers, and engage a certified ‘tradie’ for installation. Installation of projects such as a kitchen, bathroom, air-conditioning, decking, or pergola requires specialist skills from registered builders and installers. Engaging certified electricians and plumbers is also important as your home insurance may be invalid if future issues occur and you’ve used a ‘cowboy’. Professional installation will only add value to your home renovation and any vintage home redecorating. I love mixing modern and vintage – a vintage hall table with a modern painting, for example. You may like an eclectic mix too so scour online sellers such as eBay, Gumtree, or TradeMe for great bargains you can upcycle. Otherwise, treat yourself to a new suite for the living room or bedroom… but measure up to ensure you can get new furniture through doorways, up stairs, and around hallway corners. 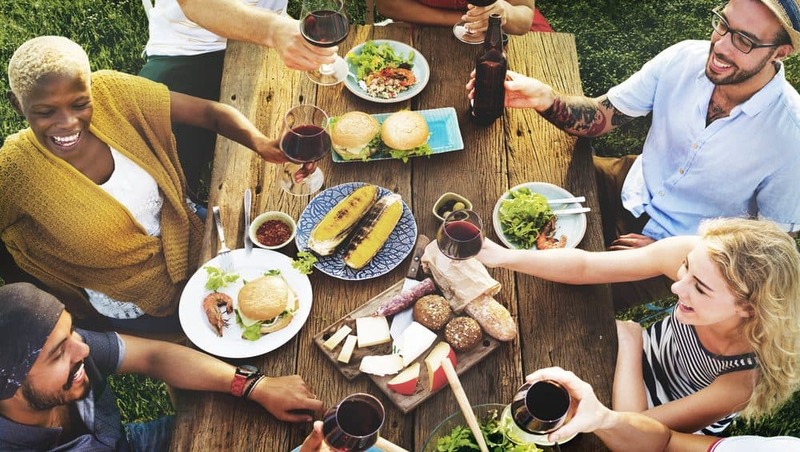 Now it’s time to tidy up the yard and kit out your outdoor dining space. If you’re installing new paths, a pergola, decking, or other outdoor areas then modern designs can look fabulous on vintage homes. Buy outdoor furniture that has weatherproof fabrics and consider how to store furniture out of the bad weather if required. 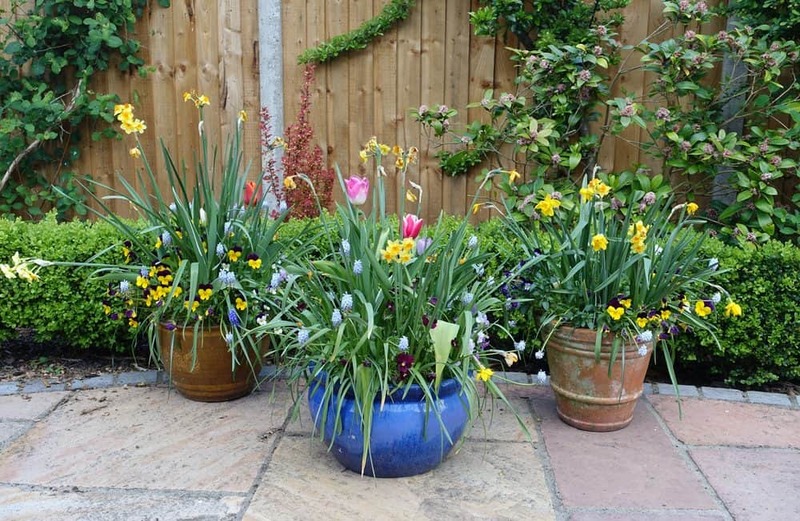 Container planting means you can flexibly move pots around to suit the sun and rain. Plant out levels so smaller plants are closer to paths and bigger plants are towards the back. Did you have the luxury of NOT living in rubble while you undertook renovations? Or maybe you moved out of rooms for your vintage home redecorating. Either way, when all the work is done, it’s time to move in. Will the kids fight over the bigger bedroom? Finding places for new things should have been part your redecorating plan. However, if you end up with excess ‘stuff’ have a yard sale or donate it to charity. Live in your ‘new’ home without unnecessary clutter. Time to meet the neighbours. Housewarming party anyone? Pop the corks, chill down the beer, switch on the BBQ – you deserve it.